There are 2 ways to fix this problem I found. 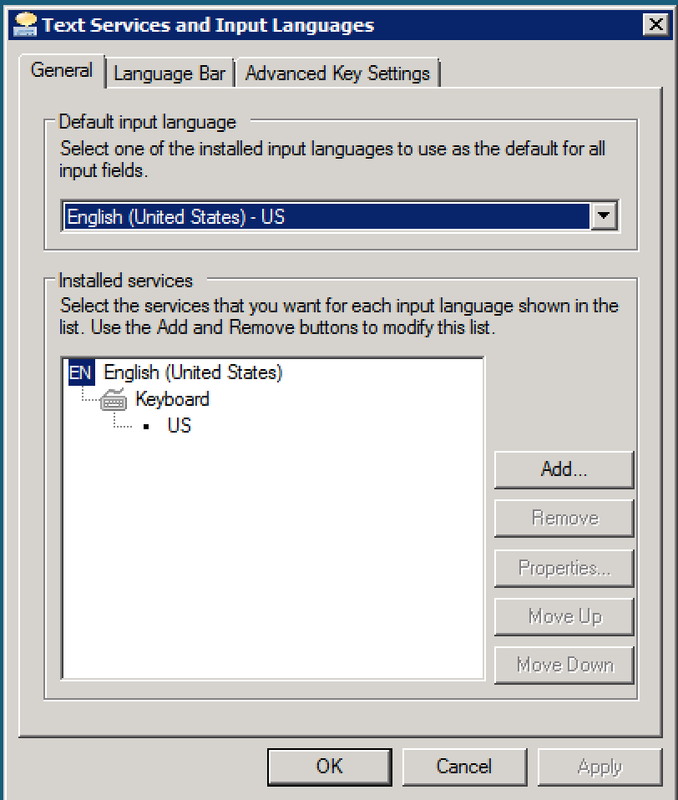 The first way requires you to change the keyboard layout in the languages bar. For whatever reason RDP thinks I am running a french canadian keyboard on my MAC even though it is just a standard US layout. So whenever I log into a computer via RDP (in particular an AWS windows instances), I have to switch to US from Canada. 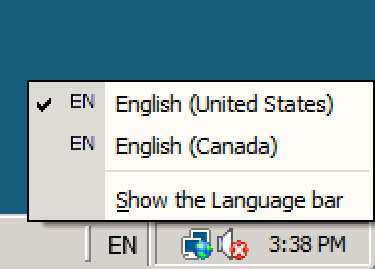 This is most definitely a bug since no where is the Canadian language/keyboard actually installed as you can see from the following screen shots. If you are looking for a more permanent solution you have to crack open the systems registry and make a manual edit. Log into the server you want to ‘fix’ and run regedit. Double click this new value and set it from 0 to 1. This will now ignore any potential keyboard change coming from your remote location so you do NOT have to switch the language again.